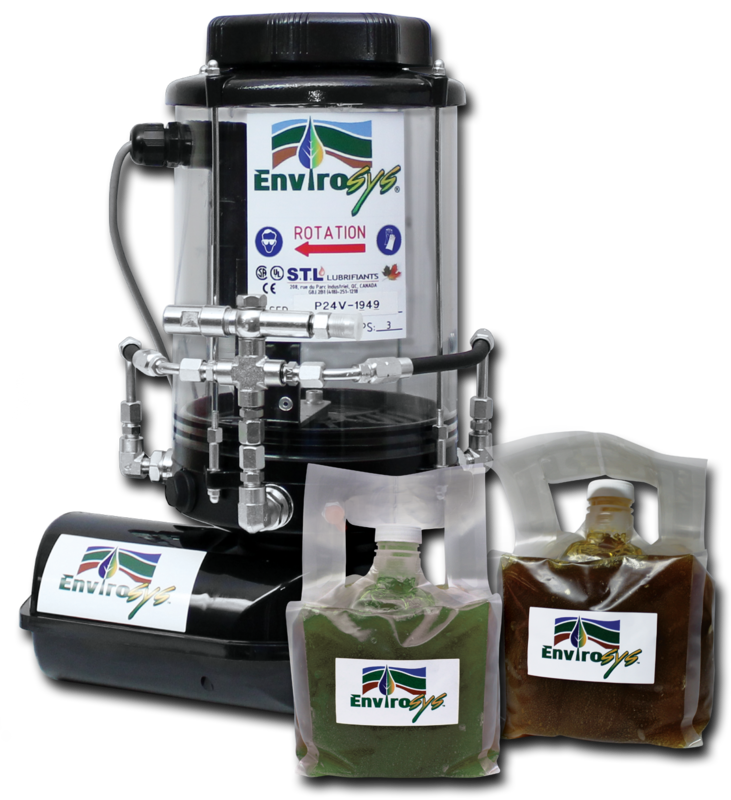 The Envirosys® Automatic Bar & Chain Grease System helps you to increase your production, extend bar & chain component life, eliminate the hassle and mess of dealing with chain oil and let you concentrate on what you are doing best, harvesting! Highly cost-effective technology providing significant cost reduction in lubricant and important savings in bars and chains replacement. Less downtimes for refilling and replacing moving parts due to extended autonomy and better protection and no more time wasted cleaning your machinery! Offers all-seasons chain grease in standard (minerals) or environmentally biodegradable (vegetal) options, packaged into recyclable and convenient plastic bags of 3 kg each.